Buying a home can be stressful under the best of conditions. When you add in general anxiety and confusion about the housing market, you’re bound to wait on the sidelines for a better day. Here is a guide, updated for 2019, to help you separate the facts from the hype and clarify real conditions in Fort Wayne so you can successfully decide if now is the time to buy. Because excitement sells. The media depends on sizzling drama- even if they have to concoct it. That’s why more headlines say “Home Values Fall Off the Cliff in 2019!” than “Housing is not so bad for most of 2019.” Most readers just find sensational headlines more interesting. And while they may help sell newspapers, they also scare buyers and sellers to the sidelines, though the news may be very positive for home buyers in particular. 9. Uncle Sam wants you…to be a homeowner! Wouldn’t it be great if the government kicked in some money to help make home ownership more affordable? Because of deductions on mortgage interest and property taxes, the practical effect is that the government is subsidizing your home purchase. In fact, home ownership provides two of the best ways to reduce your tax bill. Speaking of tax smarts, be sure to also consult your adviser about tax breaks that may be available on the proceeds from selling your current home, and on any “points” paid when taking out a mortgage loan. To help restore confidence in the housing market some legislation may provide you funds to get mortgages and tax credits for first-time homeowners. Ask us what programs are available here! In recent years, the cost of buying a home in most markets has increased while the cost of renting remains flat. But it’s never a good idea to base long-term investment decisions on short-term conditions. If you decide to rent instead of purchasing a home, you may be in a bad spot if the cost of rentals in your area shoots up in 2019. Typically, a weak housing market corresponds with a strong rental market. If the rental market is strong in your area, it may indicate weakness in the local housing market, which typically favors buyers over sellers. When you buy a home with a fixed-rate mortgage, you can lock in a predictable monthly payment for 15 or 30 years. That means the largest part of your housing costs, principal and interest, are fixed. For some people, that stability, along with the sense of community that comes from being a homeowner, is enough to tip the scales toward home ownership. If the monthly cost of buying vs. renting is comparable, you may consider some related factors to help you decide. When you rent, your landlord receives any appreciation and tax breaks associated with owning the property. 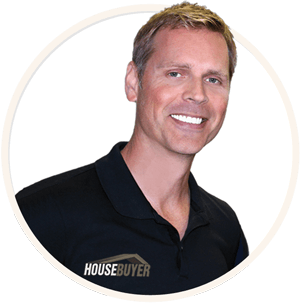 If you plan on any significant remodeling, buying may be also preferable to renting. First, each month a portion of your payment goes toward the principal to build equity in your home. In the early years of the mortgage, most of your payment goes toward interest. Over time, however, that turns around and your equity growth begins to accelerate. Second, U.S. home prices have always appreciated over the long term. Average appreciation on a home is, 5-6 percent annually, according to the National Association of Home Builders. Over time, history has shown that owning a home is a solid financial investment despite periodic market downturns. No one wants to purchase a home only to see its value decline. But should you wait to buy a home until prices bottom out? A quick web search will yield a number of articles and opinions for and against timing the real estate market, but beware of those in favor of market timing who also want to sell you a how-to book or system. Many people who have tried to time the market miss out on the chance to build equity by waiting to buy until prices rise again. The chart below shows the gradual increase – along with typical ups-and-downs – of home values over nearly 40 years. The arrows indicate market low points when home values dipped before continuing their historical rise. The problem? Market cycles only become clear in retrospect. In the midst of a market slowdown, it’s very difficult to predict when housing prices hit their low points. In addition, this trend line represents home prices at the national level, which may be very different than housing prices in your neighborhood. Broad national indicators may lag the market by months – meaning the actual price floor would not show up in reports until weeks or months later. The longer you own your home, the better chance you have of building wealth and protecting yourself from the market’s ups and downs. Be sure to consider features that will make homes more valuable in the future, such as energy-efficient construction and appliances and shorter commuting times. Features like good schools, recreation opportunities and unique architecture never go out of style. Most media reports about the housing market focus on national statistics such as sales volume and median home prices. The often-repeated statement that all real estate is local is often repeated because it’s true. It’s interesting to hear about the ups-and-downs of the U.S. real estate market, but those reports really are only useful in the context of local real estate markets. In reality, the national real estate market is made up of thousands of local neighborhoods, each with its own unique circumstances. The local economy, employment picture, tax situation and government policies will have more influence on local housing markets than any national trends. That’s why homes in some neighborhoods continue to sell for the asking price, while across town other languish on the market despite multiple price cuts. The difference might be better schools, an exclusive location or just a neighborhood with a prestigious name. Even within the same neighborhood, Victorian-style homes may be selling well, while Colonial models sit unsold. A condo with a striking skyline view will sell better than an identical unit facing a parking lot and a dumpster. That condo doesn’t have much impact on the national real estate market – and vice versa. Rich Dad Poor Dad author Robert Kiyosaki uses the example of a sale at the local supermarket to illustrate a common investor mistake – focusing on price movements instead of value. He notes that if a supermarket held a “25% off everything in the store” sale, the store would be packed. But when prices plunge in the stock market or real estate market, many investors hear the bad news and head for the sidelines until prices begin climbing again. In any market, it’s important to consider value along with price. Supply and demand dictates that real estate values are easier to find in slow periods and become harder to find when markets heat up. How slow is the real estate market? It depends whom you ask, and how they measure. One of the industry’s most respected research organizations recently reported year-over-year changes range from -4.6 percent by the Office of Federal Housing Enterprise Oversight (OFHEO) to -20.01 percent. The wide range doesn’t necessarily mean one index is more accurate than another. It means that indexes use different methods of gathering data, and often different sample populations. For many real estate professionals, it’s important to know the details of housing price trends. For home buyers, it’s more important to put the broad numbers in perspective. They may provide a good indicator of market trends, but they will never be as important as what’s happening in your neighborhood and your personal situation. When you’re looking for a bargain DON’T try to time the market to save a few thousand on the price of a home- you could end up with a higher monthly payment and total overall cost of home ownership. At the end of the day, your personal and family situation will determine when it’s the right time to buy a home. 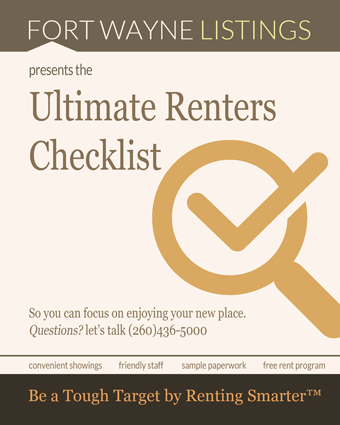 As you weigh the pros and cons of owning versus renting, do some research as to exactly what you can afford using some of the affordability calculators available on the Internet. At the same time, your local real estate professional can help you research and understand your local market and the types of homes available. Home buyers can always ask for concessions, but in our 2019 market they have increased leverage to get them. In many parts of the country, buyers are not only getting price concessions, but often help with closing costs. Agents who understand the nature of seller concessions can often help buyers get a better deal above and beyond reductions in sale price. But in today’s market where homes sell slowly and lots of inventory is available, the advantage shifts to the buyer side. In some areas of the country, sellers are not only paying closing and prepaid costs, but also some creative additions such as luxury cars, boats and furnishings. Sellers may be willing to make concessions other than dropping the home price, as there are often tax advantages involved. With some assistance from their real estate and mortgage professionals, buyers and house sellers can often put together concession packages that benefit both parties and get the home sold quickly. Getting nervous buyers off the fence is one of the toughest challenges facing real estate pros right now. People are rightfully concerned about buying a home that will drop in value in the coming months. But buying a home is a long-term investment, and there’s more to consider than the just the purchase price. 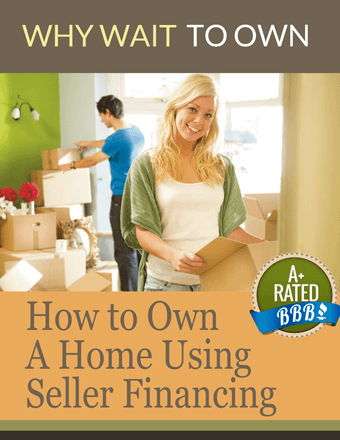 Depending on the rate and the amount financed, the price of financing can easily exceed the price of the home. In the example below, it’s easy to see how mortgage costs can exceed a home’s purchase price. What’s more, the total cost of buying a home rise more than $70,000 when interest rates rise a single percentage point. Rates have risen in the first half of 2019, but in historical terms, mortgage financing is still a great bargain. From 1980 to today the 30-year fixed rate mortgage has ranged from more than 18 percent to less than 6 percent. If you’re waiting for home prices to come down another $10,000, you may pay more in the long run if mortgage rates rise in the meantime.